These quick fish tacos are so simple you won’t have any problem knocking them up at the end of a busy day. 1. Preheat the oven as instructed on pack for fish fillets. Cook fish fillets to pack instructions, then cut each fillet into bite size pieces. 2. 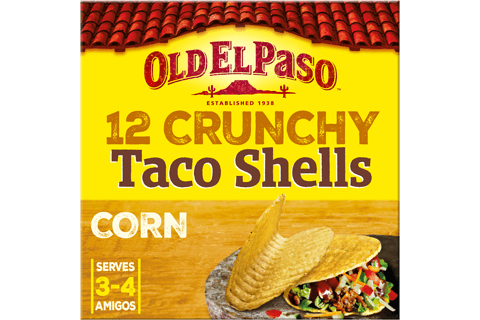 Heat the taco shells to pack instructions. 3. Mix the mayonnaise and seasoning mix together in a large bowl and stir in the coleslaw. 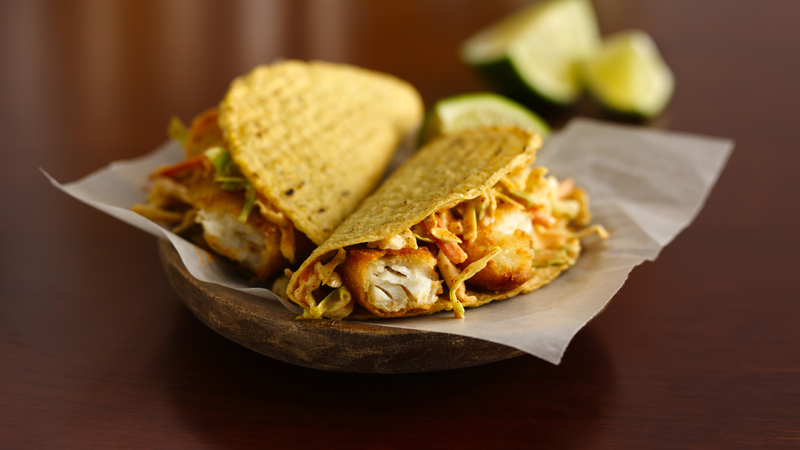 Fill the taco shells with the fish and coleslaw and serve. Give a zesty citrus tang to these tacos with a squeeze of fresh lime. Stir fresh coriander into the coleslaw for extra flavour.